Afternoon Tea in your room at the Mercersburg Inn is a truly wonderful experience. 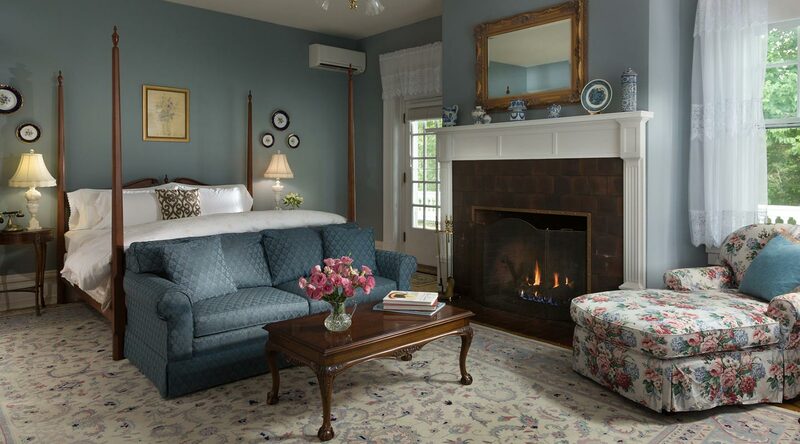 Welcome to a most extraordinary experience at our Mercersburg, Pennsylvania bed and breakfast, the Mercersburg Inn. 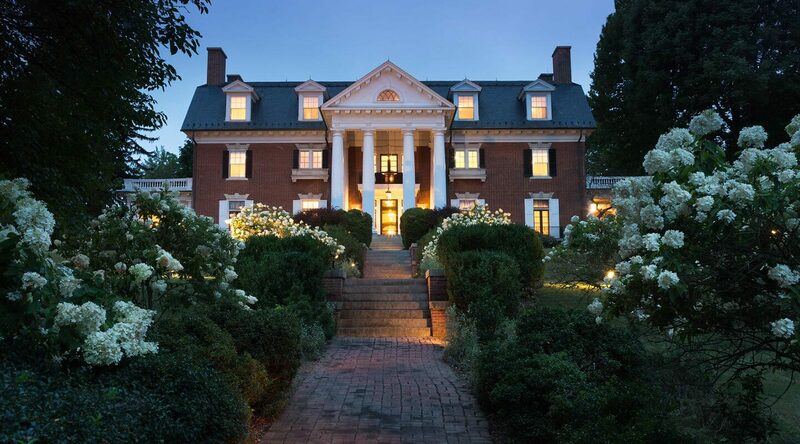 Enjoy the magnificent surroundings of a turn-of-the-century Georgian mansion on five and a half acres of terraced lawns, while feeling as comfortable and relaxed as you would in your own home. 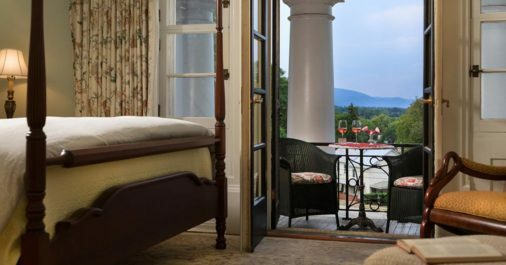 Just a morning’s drive from DC, Chambersburg, Philadelphia, Baltimore, and Pittsburgh, the Inn offers the ultimate romantic getaway from Washington DC and is a great lodging alternative to PA hotels. 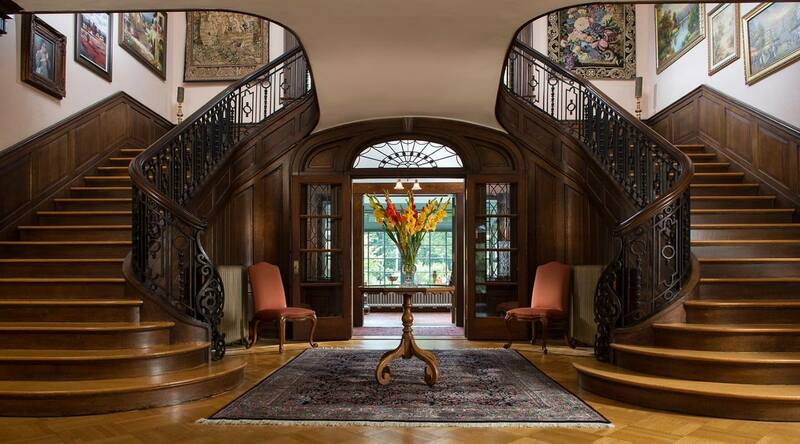 The decorative tile, oak flooring, double-curving wrought-iron balustrades, scagliola columns, and the mahogany and chestnut paneling are all original to the house. 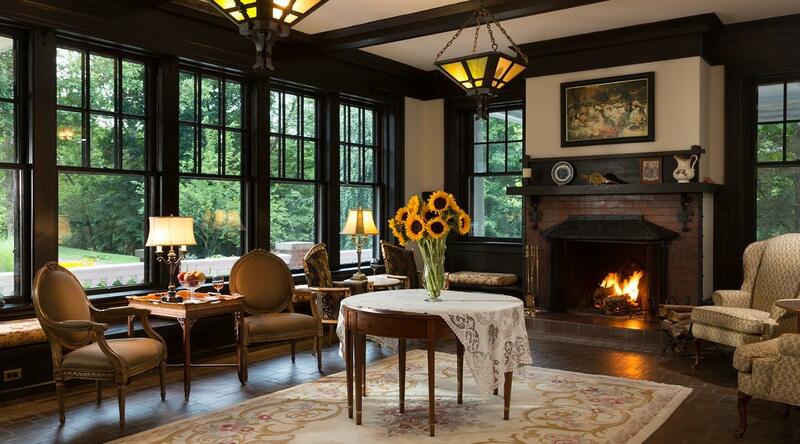 The 17 rooms in the Main House and Carriage House include 4 different types of rooms ranging from standard to extravagant. All have private baths, luxurious linens, bathrobes, and custom bath accessories. The Inn also provides wireless Internet access. For those who have disabilities, please view our policies. Mercersburg Inn has installed both a 50A Tesla charging station and a 20A Clipper Creek charger for free use by all guests. The Tesla charging station has the unique connector needed by a Tesla car and the Clipper Creek charging station provides a charge for any other EV or electric vehicle. The 17 rooms in the Main House and Carriage House include 4 different types of rooms ranging from standard to extravagant. All have private baths, luxurious linens, bathrobes, and custom bath accessories. The Inn also provides wireless Internet access. 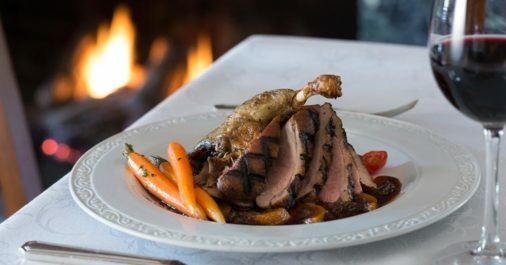 Lauded by guests and critics alike, Byron's Dining Room at the Mercersburg Inn offers delectable evening meals, prepared by our Executive Chef, a proud State of Pennsylvania Culinary Society member. 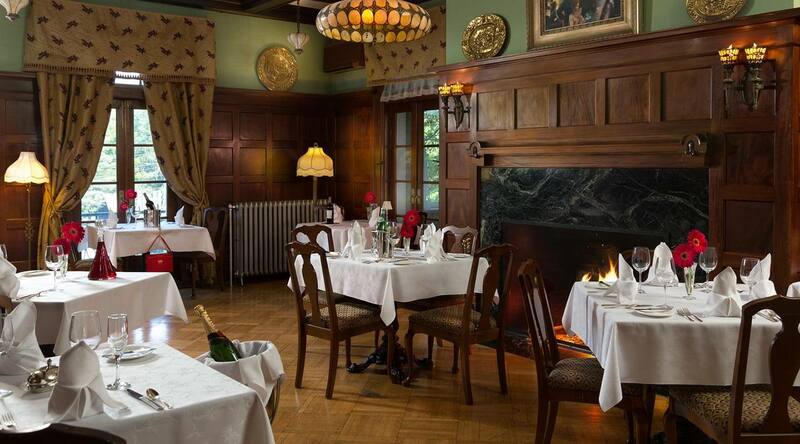 Join the Mercersburg Inn Email List!